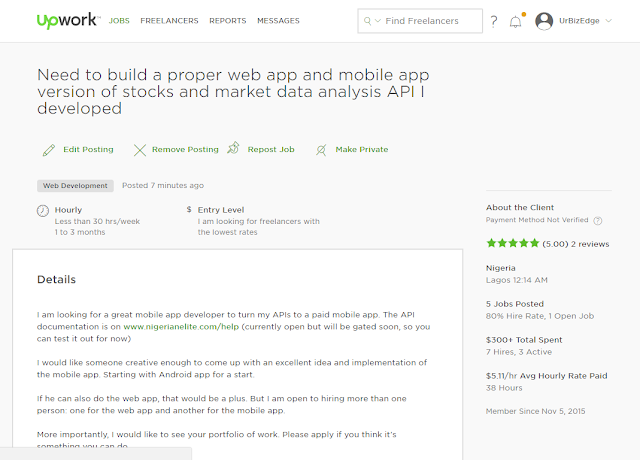 Today, I put up a call for web and mobile app developers for the mobile and web app versions of my Nigerian Market Data app. 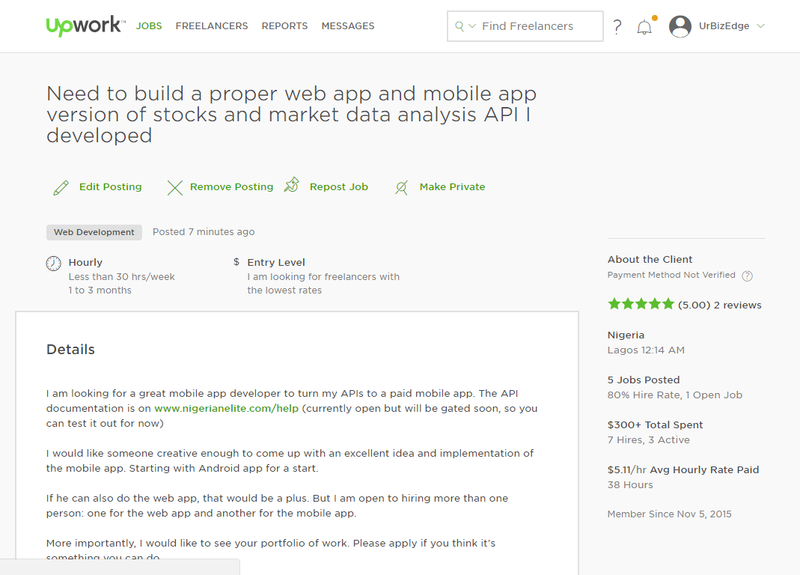 The advert is at https://www.upwork.com/jobs/~01429c3cb77f79f289 It is on Upwork. I have made about five project hires on Upwork before and quite satisfied with the experience. 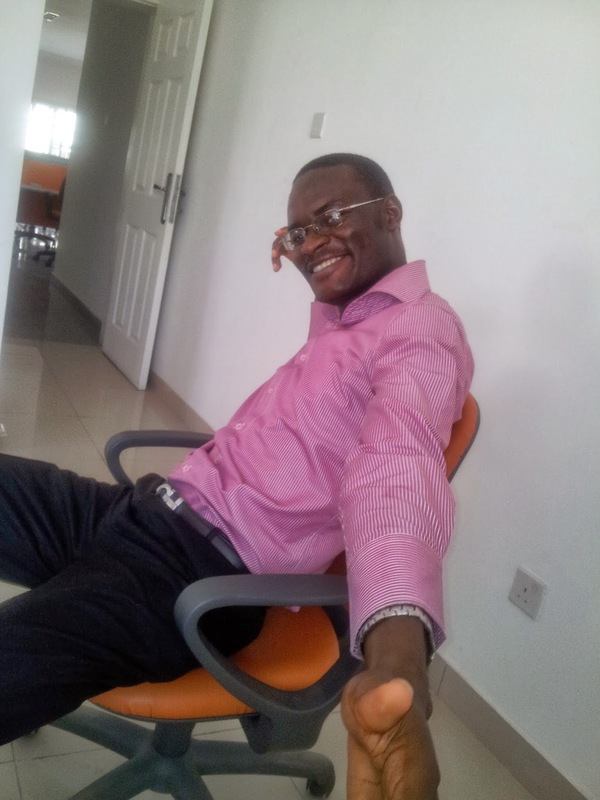 I can easily get very skilled people at very affordable rate. Finally, I can say I have found the first perfect e-product to sell. I intend to use a monthly subscription model with limited free trial. The free trial will allow you to access just a limited aspect of the app and put a maximum monthly usage count on even the aspects you can access for free. My next major task is to create a security token around the APIs I created so people won't go building apps on it without paying me. Due to some disruptions in my weekend agenda I couldn't finish the Excel app upgrade but almost done. If I can still maintain one or two more hours of open eye (being awake) I can get it done before daybreak. I am happy for the clarity I am getting around my new business model. I am axing the consulting, B2B, segments of my business. It is too much hassle for little. I hate all the politicking and time-wasting meetings, plus the tendencies the companies have for taking more than is originally agreed. Going by my analysis of past projects and sales, companies don't generate more money for us than individuals. Yes, they pay more per single transaction but I get more individual customers to offset the smaller weight of individual payment for service. Plus, since our training classes put together those individual customers rather than do a one-to-one service rendering, we don't expend more energy for a N1.2 million individual customers training than we do for a N1.2 million corporate client training. With my push into building e-products that can be sold globally, we will be a truly B2C company and have a more diversified and healthy cashflow.